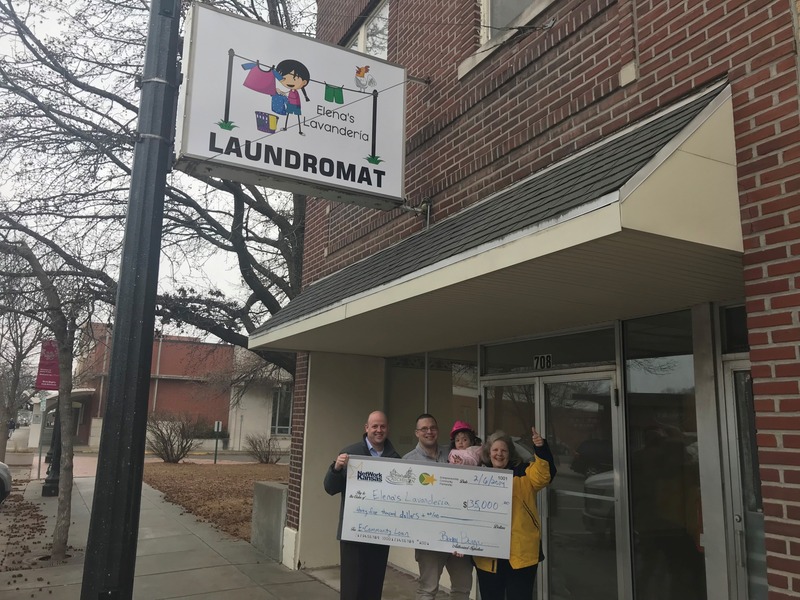 The City of Atchison’s E-Community Program is pleased to announce a new loan to Elena’s Lavanderia, a startup self service laundromat in downtown Atchison. The $35,000 in loan proceeds will help finance the renovation of the property located at 708 Commercial Street, as well as the purchase of equipment for the business. Elena’s Lavanderia is owned by Jonathan Wildy and additional financing for the project was provided by Bank of Atchison. Since January of 2017, the Atchison E-Community Program has been offering loans for small business startups, expansions, and acquisitions. Everyday businesses like laundromats, restaurants, and contractors can use this locally controlled, revolving loan fund as gap financing to make their small business dreams come true. Elena’s Lavanderia is the seventeenth E-community loan processed by the City of Atchison since January of 2017. Those seventeen loans total over $825,000 in gap financing to support small business development in the Atchison community.